Save money and reduce carbon emissions by driving on clean, renewable energy. Going electric has its benefits. Lower emissions than a standard gasoline vehicle. Going electric is easy. Here's how. 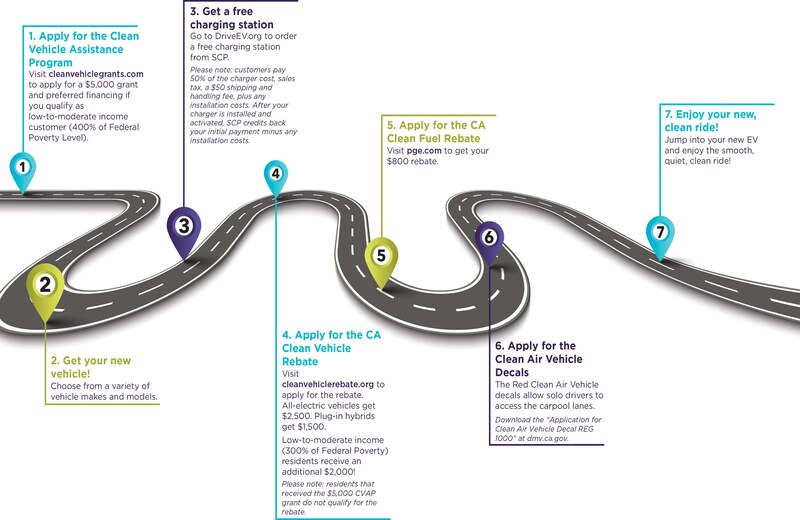 Because we understand that getting a new car is one of the most significant purchases a household makes, we developed the EV Roadmap to make switching to an electric vehicle easy, and it complements our EV Buyer's Guide. We also collaborated with our partners to develop EV 101, a 24/7 responsive online resource for all your EV questions. Get a free EV charging station from us! After you’ve installed the station, you can connect it to our GridSavvy program and help us move toward a cleaner grid and improve the electricity grid’s performance under times of stress. To help make electric vehicles more affordable, there are a number of rebates available to customers that lease or purchase a new EV! Clean Vehicle Rebate of up to $4,500 for the purchase or lease of new, eligible zero-emission vehicles, like EVs and plug-in hybrids. Rebate of $800 from the State of California for the use of electricity as a clean transportation fuel. 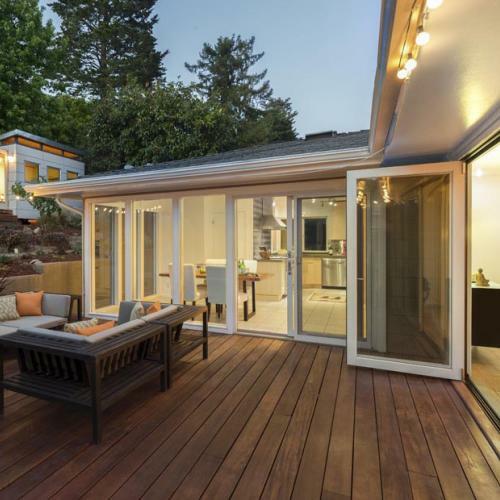 SCP customers are eligible through PG&E. If you purchased your EV, claim a Federal Tax Credit of up to $7,500 on your Federal taxes. Talk to a tax professional for details. 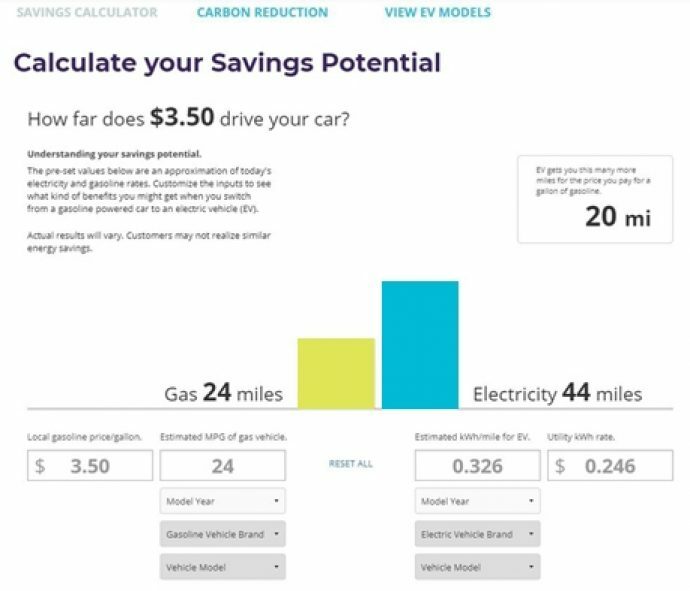 Our Choose EV tool helps you estimate how many miles you can drive an EV on the cost of one gallon of gasoline, how much carbon you can save, and view the EV models on the market. Skip the traffic and join the carpool lane solo in your electric vehicle or plug-in hybrid with the Red Clean Air Vehicle Decals! The decals are valid until January 1, 2022 and can be acquired by submitting Form 100 to the Department of Motor Vehicles (please do not send the form to SCP). For complete details and exclusions, visit DMV.ca.gov. Throughout the past three years, we have deployed over 1,100 electric vehicles through our incentive programs - a good start to our goal of having 10,000 electric vehicles on our roads by 2020 and cutting greenhouse gas emissions. See our Evaluation Dashboard to see the results of the last three programs and read their respective evaluation reports.